We quantified the dose-sparing effect of epinephrine by comparing the median effective dose (ED50) of intrathecal hyperbaric bupivacaine co-administered with epinephrine with the ED50 of intrathecal hyperbaric bupivacaine alone. Three groups were randomly generated from 162 patients undergoing total knee replacement arthroplasty under combined spinal and epidural anesthesia: Group B (bupivacaine), Group BE1 (bupivacaine plus epinephrine 100 μg), and Group BE2 (bupivacaine plus epinephrine 200 μg). Each group was further divided by bupivacaine doses of 6, 7, 8, 9, 10, or 11 mg. The anesthesia was defined as successful if a bilateral T12 sensory block occurred within 15 min, and no intraoperative epidural supplement was required. The ED50 and ED95 for successful anesthesia and successful tourniquet pain blockade were determined separately by probit regression analysis. The ED50 and ED95 of intrathecal hyperbaric bupivacaine for successful anesthesia were not different among the groups: the ED50 values were 7.1 mg [95 % confidence interval (95 % CI) 6.0–8.0 mg] in Group B, 6.2 mg (95 % CI 4.8–7.2 mg) in Group BE1, and 6.3 mg (95 % CI 4.9–7.2 mg) in Group BE2. However, the ED50 and ED95 values for tourniquet pain control were significantly smaller in Groups BE1 and BE2 than in Group B: the ED50 values were 7.2 mg (95 % CI 6.3–7.9 mg), 5.5 mg (95 % CI 4.1–6.3 mg), and 5.3 mg (95 % CI 3.7–6.2 mg) in Groups B, BE1, and BE2, respectively. The incidence of tourniquet pain was significantly lower in Groups BE1 and BE2 than in Group B. 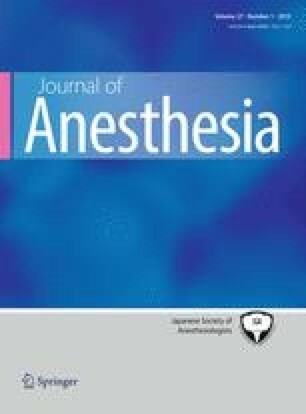 The time to patients’ requests for supplemental analgesia was significantly longer in Groups BE1 and BE2 than in Group B.
Intrathecal epinephrine did not decrease the dose of intrathecal hyperbaric bupivacaine required for successful anesthesia. However, it reduced the dose required for tourniquet pain blockade.